Honda welcomed potential business and technology partners to meet with the company's engineers at its booth at the recent CES event in Las Vegas for its prototype off-road vehicle, the Honda Autonomous Work Vehicle. Combining Honda's all-terrain vehicle (ATV) and emerging advanced autonomous technology, the Autonomous Work Vehicle was designed by Honda R&D Americas to enhance efficiency and safety for public, commercial and consumer enterprises. Envisioning the potential to support people in a variety of industries, such as search and rescue, firefighting, construction, agriculture, landscaping and snow removal, Honda welcomed potential partners to meet with the company's engineers at its booth at the recent CES event in Las Vegas, USA. The Autonomous Work Vehicle is based on Honda's proven ATV chassis, built on a 30 year history of accessing hard-to-reach locations with its rugged four wheel drive system. The prototype vehicle features GPS and sensor-based autonomy capable of guiding the unit in almost any environment, a rail accessory mount system for accessories and attachments, and onboard power plug-ins. Its compact size and off-road capabilities make it highly manoeuvrable and perfect for a variety of locations, from dense forests to urban pedestrian zones. Further demonstrating its autonomy, the vehicle can be programmed in different modes: ’Follow Me’, ‘Pattern’ and ‘A to B’ to accommodate a range of applications. 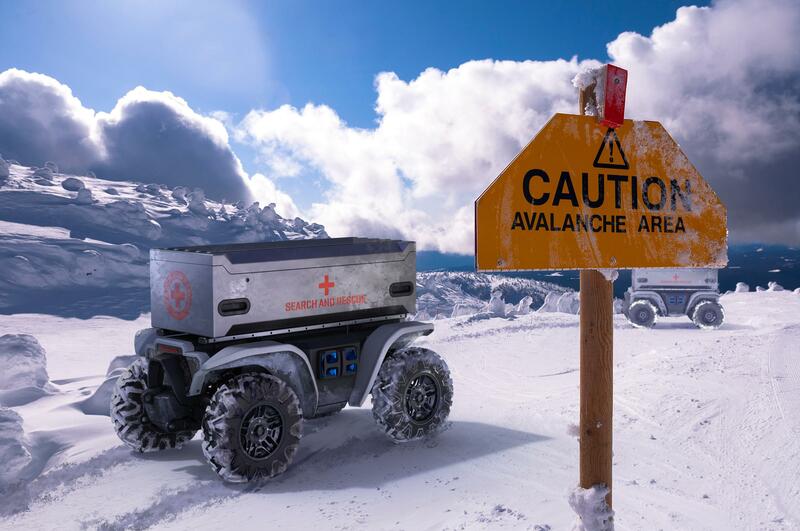 Since introducing the Autonomous Work Vehicle as a concept under the name 3E-D18 at CES 2018, Honda has worked with a variety of partners to beta-test and evaluate potential uses in a broad array of environments, including a large-scale solar operations company, wildland firefighting, and an agricultural research facility. Honda shared the results of these real-world tests at CES 2019.